Scaramucci was fired in large part because of an extraordinary expletive-laden phone call with a New Yorker journalist last week. The former hedge fund manager vowed to “f---ing kill all the leakers” in the White House and personally attacked Priebus, calling him a “f---ing paranoid schizophrenic” who had blocked him from getting a West Wing role in January. Scaramucci also denigrated White House senior strategist Steve Bannon, using a vulgar sexual term to suggest he was interested only in burnishing his own reputation. Priebus was forced out the next day, but three days later, Scaramucci, too, was gone. The personnel shake-up came after what was perhaps Trump’s worst week in office, with a humiliating defeat on health-care legislation (see Controversy), the Priebus-Scaramucci fiasco, a backlash against Trump’s provocative speeches to the Boy Scouts and police, and growing resistance from fellow Republicans. Kelly immediately had to deal with his first leak: CNN reported that when Trump fired FBI Director James Comey in May, Kelly called the G-man and told him he was so upset that he was thinking of resigning. With Kelly in charge, we will find out “whether a Trump White House can be functional,” said Jonathan Swan in Axios.com. 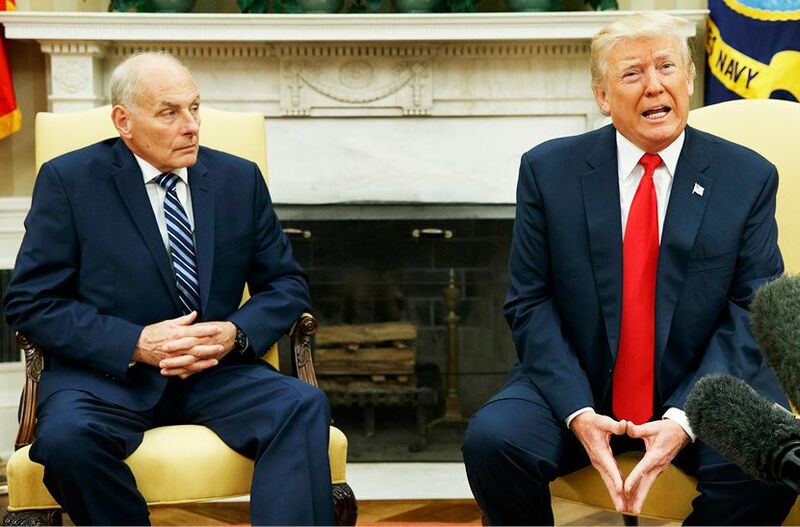 The new chief of staff “has been granted unprecedented authority (for Trump), is revered by all internally, and has no dog in the factional wars in the West Wing.” If Kelly can’t turn things around, this administration may be a lost cause.